Automobile deductions: Whether an individual uses a personal vehicle for his or her own business or company owns a vehicle, the depreciation of value and costs associated with that vehicle may be deducted from the company’s income at year's end. A taxpayer must keep track of all of these expenses and document them by maintaining receipts and records of expenditures in order to claim the deduction. Alternatively, a business may declare standard deductions for the vehicle based on the mileage of the vehicle. In 2015, this standard deduction is 57.5 cents for every business mile driven. If a vehicle is driven for both business and personal use, the IRS will require a taxpayer to identify the percentage of use dedicated to business. Capital expenses: Also called startup costs, the IRS allows a business to deduct up to $5,000from its income in its first year of expenses for expenditures made before the doors of the business opened. 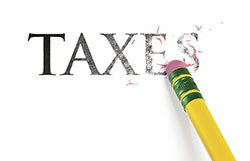 Any capital expenses remaining after the first $5,000may be deducted in equal increments over the next 15 years. Legal and professional fees: Fees paid to professionals like lawyers, accountants, and consultants, may be deducted from a company’s income each year. If the benefit of a professional’s advice is spread out over a number of years, the tax deduction must also be spread equally over the same period. The cost of books or tuition for classes to help avoid legal or professional costs may also be deducted. Bad debt: A business may deduct the losses suffered as a result of a customer who fails to make payment for goods sold. However, a business that deals in providing a service may not deduct the time devoted to a client or customer who does not pay. A service business may deduct expenses made in an attempt to help that customer or client. Business entertaining:The cost of meals or entertainment purchased for business purposes must be documented by receipts in order to maintain the right to deduct the cost from income for tax purposes. Only 50 percent of the total cost of entertainment expenses may be deducted. Interest: If a business operates on a business loan or a line of credit, the interest on that loan may be deducted from income for tax purposes. Normal business expenses: The cost of advertising, new equipment, depreciation of existing equipment, moving expenses, business cards, office supplies, travel expenses, coffee and beverages, software, casualty and theft losses, postage, business association dues, and all other business expenses can be deducted.